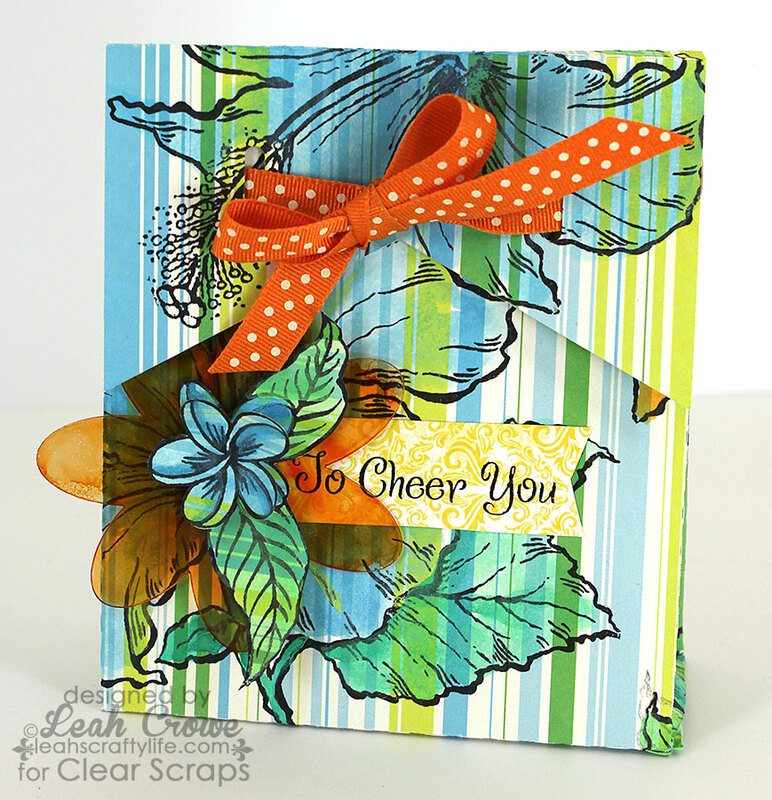 Leah's Crafty Life: Clear Scraps & Stampendous Blog hop!! 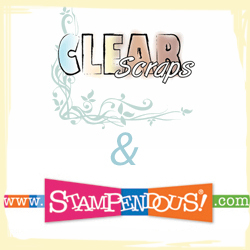 Welcome to the Clear Scraps and Stampendous Blog Hop! 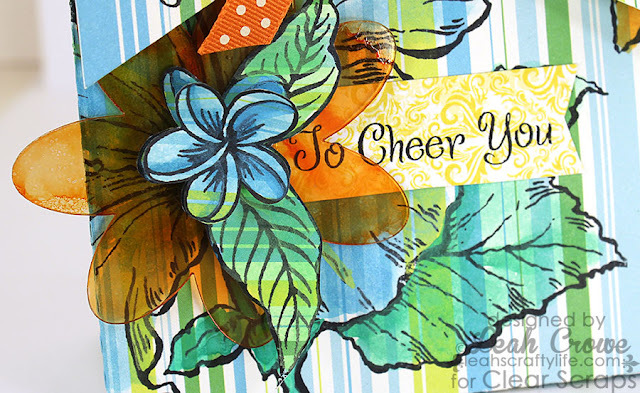 Keep checking back at Clear Scraps and Stampendous all week long, as there are a lot of prizes involved, and lots of inspiration too! I am so happy to have you here visiting my blog! If you came here via Clear Scraps you are in the right spot! If not, I would love for you to check out our hop beginning here. For my project today I created this sweet little gift bag. It perfect for filling with a small gift or treat for someone special. I started off by stamping Stampendous Jumbo Tropical stamp to an old sheet of Scenic Route paper. Then, I fed the paper into my Cameo Silhouette to cut out this sweet 3D ribbon box from a Lori Whitlock file. Once it was all cut out, I pulled out my watercolors and lightly colored in the different areas on the tropical stamp. Once the paper was dry, I adhered it together and tied it closed using this lovely polka dot ribbon. 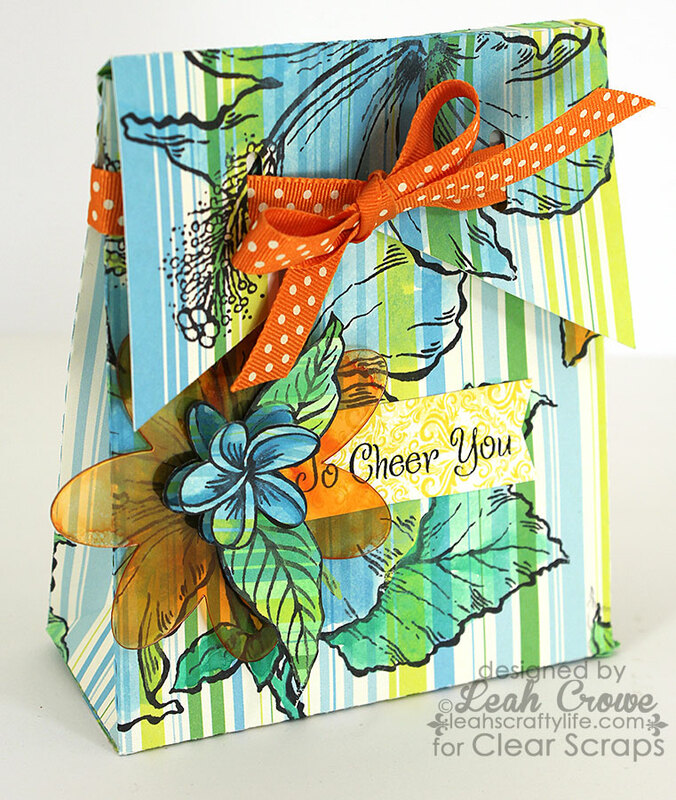 To create the sentiment on the bag, I stamped To cheer You using Stampendous Friendly Phrases. I also used a Clear Scraps Flower Embellishment that I dyed with sunset orange alcohol ink. Layer them together and you have a lovely embellished sentiment for your gift bag. 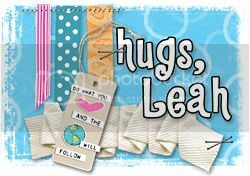 The fun doesn't stop here friends, please check out the other fabulous designers from Clear Scraps and Stampendous today!! Here's a peek at one of the prizes you could win! Thanks so much for stopping by and I must thank the wonderful companies who have provided supplies or this weeks hop! I hope you enjoyed my project using Clear Scraps & Stampendous products! oh hun that is beautiful, I love that zing of colour from the stripes on the bag and that stamp is delicious!! What a cute bag! This would be perfect for a summer birthday, vacation, etc! Love it! Wow!! This is GORGEOUS!! I loveeeeeeeeeeee the colors!!!!! You are amazing!!! I'm also participating in today's collaboration at http://ink-positive.blogspot.com Please add me to your list! Thanks! wow!! This is stunning Leah!! I love the colors you used and I just have to say when I browsed your blog, your coloring is just out of this world amazing! Thanks for having us this week! Stunning bag! That is super cool! This is beautiful Leah! Love it! Love this! My favorite colors, and that sweet embellishment! So fun! What an adorable bag, you did a wonderful job in adding color and embellishments. I was wondering if you could make my bags for me (heehee)?? TFS and having us today. Very Fun! Love the stripey background behind the lovely flower! Sweet gift back. What a terrific project, Leah! I just love the way the flower accents the tropical feel of the whole bag! Perfect gift-giving option! 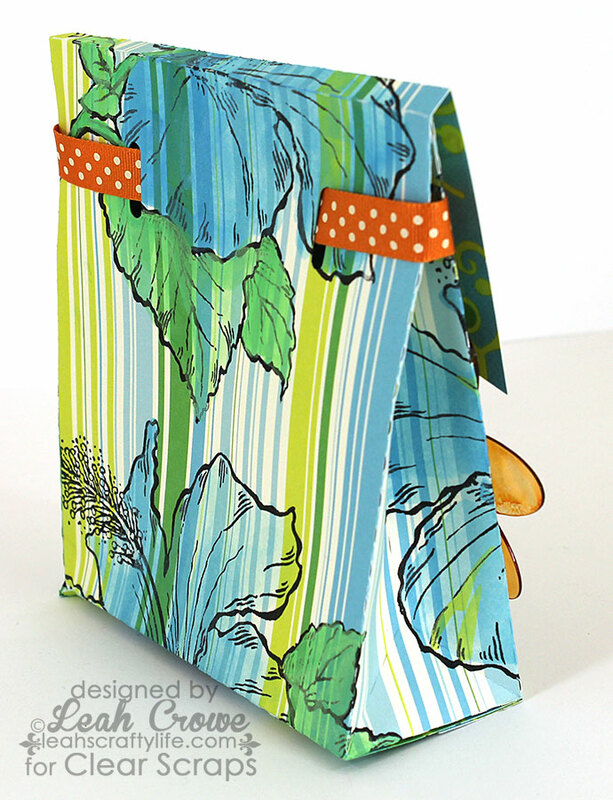 Love the bright colors and the fabulous patterned paper that go GREAT with that the Jumbo Tropical Garden!! Very cute--I like how you stamped on the paper to make the bag. Beautiful card! I love the tropical colors! So cute and great colors. Absolutely love how you made this gift bag! Hi Leah! Thanks for adding me to your list! Your box is awesome, I love it! I'm going to have to get some clear accent pieces, those are just too cool! I really like how you stamped the image on the striped paper and added just the right amount of color. Fantastic! What a pretty gift bag. Who wouldn't feel great getting a gift in it. What a gorgeous box! I'd like to make some for friends. The box is truly gorgeous! Duuuude..how did I miss this post last week? You rocked the bag girl! Lovin all the striped flowery goodness :) Thanks to Clear Scraps for hopping with us all week...it was awesome! Love the gift bag and would love to use this idea! Really loved the Jumbo Tropical stamp!